Better cloud storage options than Dropbox. When it comes to storing files on cloud, Dropbox is often referred. 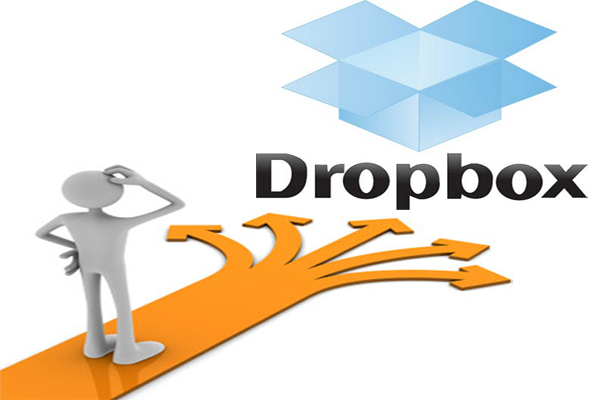 But we cannot rely on Dropbox always, there are a lot of other options which is to be tried out. When you start using other options you can get to know what all added features are being offered by cloud storage providers. So it is always better to check out alternatives. Check out the alternatives to Dropbox. SugarSync: This is very similar to Dropbox. You can either assign the folders to be synced or drag and drop the files to SugarSync. It allows you to start storing of files with 5GB of space which can be increased as you get more users referred. Dropbox has a limit to the referral till 8GB, but Sugarsync do not have any to such limitation to it. Desktop, Tablets and phones can be used to sync up the data and share all your files by saving it to SugarSync. Related Post: Top 5 ways to transfer and share large files. Minus: This is a next generation cloud storage service, which gives a very good UI experience. Minus is also available for Mozilla Firefox, Google Chrome and even mobile applications. It provides maximum storage upto 50GB. The layout is also same as Pinterest, if you start sharing the photos in the folder. The concept of Minus is also very similar to other social media sites, you can follow other users and make the place more interactive by sharing the uploaded files on Twitter and Facebook. Per file upload limit is also 2GB. SpiderOak: This is the most secure cloud storage provider, it claims that even their employees cannot view your files saved in SpiderOak. Since it uses the SSL(Secured socket layer) which adds up to be most secured option on Internet. SpiderOak offers 2GB of initial space but can be increased upto 10GB with referral options and joining your friends. SpiderOak gives cross-platform support in Windows, Linux and Mac OS and also be installed in iOS and Android mobile platforms. Files are uploaded in compressed format which optimizes the upload speed, and has an advanced deduplication(which does not allow duplicate files to be stored). Related Posts: Do not be confused while choosing your web hosting services? Google Drive: is another good option, but with different features. It is very reliable as it is from Google and it gives you all the features supported by it. You can even use Google Docs which help you to store all your documents saved online in Documents, Presentations, Spreadsheets etc and has 1GB for itself than 5GB for the Google Drive. The best part is that it supports almost 30 different formats and also opens HD videos, Adobe Illustrator and Photoshop files in browser. I hope now you have a good idea about the alternatives of Dropbox. I am trying to figure out most of the alternatives and trying to store almost everything on cloud storage. This may choke up my Internet bandwidth, but will keep all my data available as per my need. All I need is Internet to access my files. That was interesting to me. I currently use Drop Box to hold and transfer my vector images. These might some other options to consider. « Ways to maximize your Facebook EdgeRank.